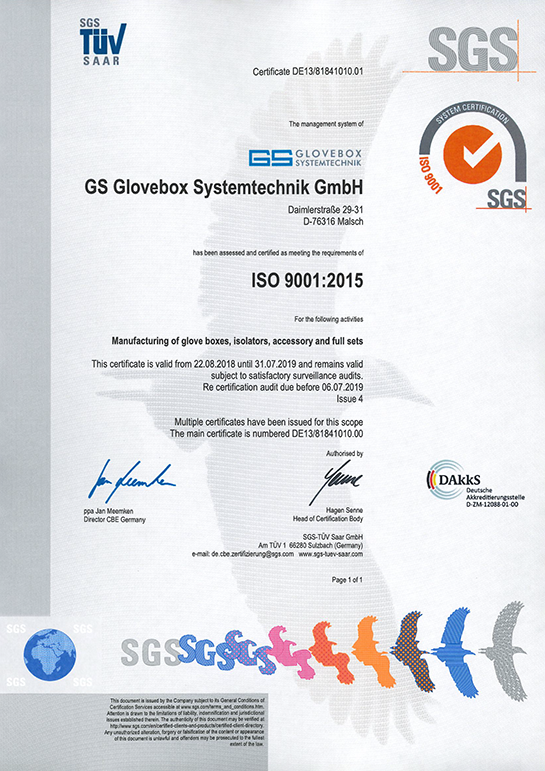 GS Glovebox Systemtechnik GmbH was certified by the TÜV CERT Certification Body of TÜV Saarland e.V. for the introduction and application of a quality management system according to the requirements of DIN EN ISO 9001. 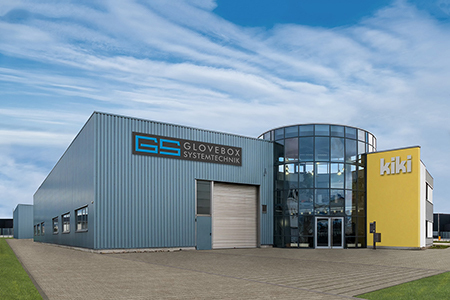 Field of application: Manufacturing of gloveboxes and isolators as well as accessories and complete systems.